There are over 5000 line items of video games offered on the market at any given time. That’s a large number and obviously most of suppliers usually have significantly less variety of items in their stock. Large wholesale distributors with international coverage may want to have many of the available titles in their stock, including both new releases and back catalogue items that released some time ago. Smaller traders may not be able to keep massive stocks and have to choose what items they want to buy to keep in their stock. Having limited resources, smaller traders need to carefully decide what items to spend on their money to buy, so that they can resell them quickly and with higher margins. Selling quickly and with higher margins, these are the key criteria really. Every buying decision should be based around that objective, invest in stock that turns over quickly and brings higher profit. The question is what items in the whole variety of video games can help to provide quick turn around and high margins. With all the large and small differences between various titles, including the quality of games, the platforms, the genres, and many other characteristics of games, all the games can be divided into two major categories, which make them significantly different in the way they are traded. These are new releases and back catalogue items. Throughout year many new releases arrive, with majority of them releasing during Autumn season. New releases can be either completely new titles or a newer versions of already existing franchises, for example FIFA, Call of Duty, Grand Theft Auto, etc. New releases are mostly sold on pre-orders, before the game is even printed and distributed. This includes both wholesale pre-orders by resellers, and retail pre-orders by end users. At first it seems to be attractive to sell out all the stock even before getting it. New releases are more popular and demanded, especially triple-A titles, and it seems they could sell a lot. There are many caveats though when trading new releases compared with back catalogue. After new release arrives in the market, within couple of weeks its price may start decreasing. Some titles loose their price quite quickly some may keep the price for several more weeks, depending on the supply, if it is scarce the price may keep a little longer, although it will eventually go down anyway. 2. Trading new release is very competitive. The fact is that it seems so good to sell new releases make selling them very competitive, when a new release comes out almost every supplier offers it. Imagine a single item offered by almost all suppliers. This pushes the prices and consequently the margins down. Some suppliers engage in price battles with each other to be able to offer a better deal and win a sale. In addition, because new releases loose their prices quickly, traders try to sell their new released stock as quickly as possible. If they are not quick enough, the market price may fall below their buying price and they will incur loss. Because traders try to get rid of their new release stock quickly, this pushes the prices for them even further down. Many traders have quite anxious times before they sell their initial stock that has been purchased with high price, as it is quite easy to incur loss if anything goes wrong at this stage. Many new releases are sold on pre-orders. Traders buy them from their suppliers on pre-orders too. 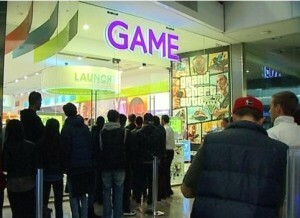 Many suppliers sell out all their stock on pre-orders even before the release date. For that reason if a trader pre-orders less quantity that he/she can resell, then after selling out, they might not be able to increase their pre-order as by that time their supplier may be sold out too. In this case the trader will have to stop selling this item any more and will loose potential sales. On the other hand, if the trader pre-orders too many, he/she might not be able to sell all the stock and will still have the stock in hand by the time it starts loosing its price. In that case trader will incur loss because they may have to sell the remaining stock with lower margin or even below the cost just to get rid of it. For this reason it is important to be able to accurately estimate correct quantities of stock that will be needed, and it’s quite difficult. The fact that new releases are mostly sold on pre-orders before the stock is available, creates additional chances for something in the process to go wrong. Buyers and sellers agree on the price and the quantity of the pre-order, with sellers selling stock that is not even in their warehouse yet, meaning that it is still outside of their control. Many things can go wrong, for example sellers supplier (the publisher or a distributor) may delay sending the stock to them. Or they may send in time, but the freight forwarder that delivers the stock can delay the shipment. After the stock arrives, the warehouse is under a lot of stress to quickly accept the stock and then ship all the pre-orders to customers. The freight forwarder that delivers to the customers may become a cause of additional delay, and so on. Everything is under extreme rush and stress. Publishers usually ship new release stock few days before the release date, and the stock should go though the whole distribution chain, with wholesalers and retailers, and needs to get delivered to stores and put on the shelves before the release date. The maximum urgency and stress on the logistics make more possibilities for mistakes. All these issues make selling new releases rather difficult and stressful job. Unlike new releases, back catalogue items are mostly free from these problems. Catalogue items have already lost their prices time ago. Further reduction in their price is much slower and less dramatic. Traders can keep back catalogue items in their stock quite long time without any danger of price loss, and can be more relaxed when selling them. There is much more variety of catalogue items in market than new releases, and selling them is not as competitive as new releases, which are only a few dozen titles per year, compared with many thousands of catalog titles. When buying catalogue items, unlike new releases, there is no need to think hard and forecast the future demand and necessary quantities, traders can buy exactly as many items as necessary now. The logistics is significantly easier too, as there is usually no much stress and urgency compared with the rush of trying to get new releases on the shelves in time. Dealing with new releases is stressful and provides little to no profit. So, why bother doing them at all then? The answer is because the customers demand them, and suppliers must be able to satisfy this demand, so that their customers do not have to turn to other suppliers for these items. Plus, after doing new releases for some time, and after gaining some valuable experience, and learning how to accurately estimate the demand, and after finding a range of sound and reliable suppliers who offer competitive prices, and after building a reliable logistics and distribution chain, over the time, it is possible for a trader to become profitable on new releases and start making a good profit on them too. Though the major money still remains to be earned on back catalogue items. Find, verified, high quality wholesalers and distributors in our directory. Learn how to buy wholesale video games from distributors. Learn how to sell video games to wholesalers, distributors, and retailers.